In her op-ed in the Oct. 8 CJN, Danielle Kubes asks why “Jews have not come out in mass support” of Ishaq Zunera, who refuses to take her citizenship unmasked. I can’t speak for other Jews, but I have long supported a niqab ban in the public sector, and I consider Kubes’ alarmist fears of a slippery slope unfounded. Kubes’ main points are: a) if we ban the niqab today, tomorrow it will be the kippah; b) it is of no importance that the custom of face cover is rooted in misogyny (“So what?”); and c) that Canadians’ objection to the niqab in overwhelming numbers – more than 90 per cent in Quebec and 82 per cent in Canada as a whole, according to polls – is the same “hysteria” that was directed toward turban-wearing Sikhs in the RCMP in 1990. Beginning with the last point: the Sikh turban issue was entirely situational; the debate revolved around military uniformity, and was not a rejection of the turban in principle. And nobody, for example, has ever made a political issue of the sheitel. Or the hijab. Indeed, Pauline Marois tried hard to push Quebec down the slippery slope with her charter of values 18 months ago and failed miserably. In their rejection, Quebecers made it clear they have no problem with any religious accessories. Except one: the niqab. Not because they are Islamophobic. Face cover is not one accessory on a continuum. It is an entirely separate phenomenon, illuminated once and for all by Marois’ failure to mobilize against the other accessories. Pushback against face cover has nothing to do with Islam. Canadians would consider it indecent if it was a custom amongst Zoroastrians, Raelians or atheists. Neither are identification and security concerns the real issue – they are distracting sidebars. The niqab is a new and unique social phenomenon in the West. It arouses anxiety, and rightly so, as face cover is inimical to public health. It is a willed barrier to friendly communication, and therefore destructive to the social environment, an obstacle to the trust and social reciprocity upon which healthy communities depend. Rejection of the niqab is not racism; it is social self-defence. When there are few niqabs in one’s line of sight, the issue seems trivial. When, as in France and Belgium, there are thousands, it is not trivial. There are already limitations to the niqab in Canada. In one case, it was ruled against in court for a plaintiff, trumped by the longstanding right of a defendant to see his accuser’s face. Why only accusers’ faces? Most Canadians see mutual openness as a legally unarticulated, but nevertheless pressing social right. 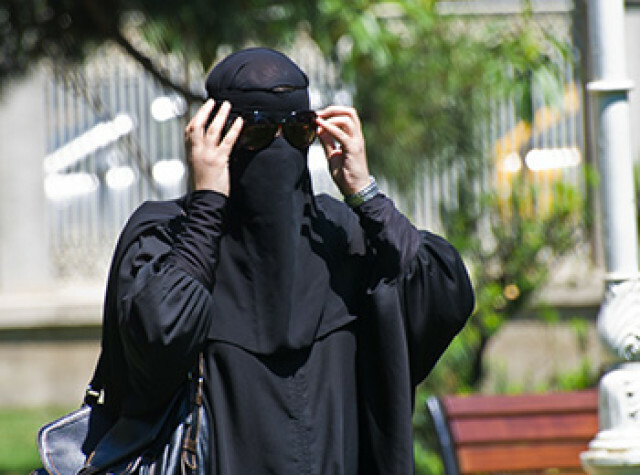 Ironically, the niqab is not permitted to lawyers in Pakistan, voters in Egypt and other countries, on the hajj in Saudi Arabia, or in universities across the Islamic world. Is that also “hysteria”? To Kubes who seems to believe in unlimited rights on religious obligations (the niqab is only a regional custom, but I’ll stipulate it for argument’s sake). Do you say “so what?” to polygamy, which is a religious obligation for both men and women in offshoots of Mormonism? If not, why not? It doesn’t harm you or me. Yet, most of us feel gender equality rights trump religion on this issue, and to my knowledge, nobody has ever accused those rejecting polygamy as Christophobic. Kubes appears to willfully ignore the threatening political dimension the niqab represents. Unlike Orthodox Jewish women who have worn sheitels for centuries, it is very doubtful that Ishaq’s mother wore a niqab, or even a hijab. The rise of the niqab is not only coincident with, it is politically collaborative with the rise of contemporary Islamism, a triumphalist ideology that quite openly seeks to colonize and transform western democracies. When a symbol is that freighted with hostility to the principles democracies stand for, it is reasonable to set limits to tolerance in the name of cultural self-preservation. Face covers alarm us for good reasons, and it is ethically legitimate to act on them.